Re: Required percentage to do MBA in India? Dear aspirant MBA is a master degree course.The duration of this course is two years.The basic eligibility criteria for this course is to have a bachelor degree course in any stream from a recognized university. The aspirant has to score minimum 50% marks in their graduation degree aggregate to be eligible for the MBA course. There is not any restriction for opting the bachelor degree course.One is totally free here to opt any of the bachelor course available to them.One can go for any course according to their way of convenience as well as interest. There is relaxation for the reserved category students.They get the relaxation in percentile.They get it by 5%.i.e. If the appearing student is belonging from the Sc/St/Pd category then they can score minimum 45% marks in their graduation degree aggregate to be eligible for the MBA course. So Dear aspirant if you are having a bachelor degree in any stream and also if you have scored minimum 50% marks in that aggregate then definitely you are eligible for the MBA course. ::-Indian Institute of Management - Bangalore, India. ::-Indian Institute of Management - Ahmedabad, India. ::-Indian Institute of Management - Lucknow, India. ::-Institute of Rural Management - Anand, India. ::-Xaviers Labour Relation Institue, - Jamshedpur, India. ::-Management Development Institute - Gurgaon, India. ::-Indian Institute of Management - Indore, india. ::-S.P. Jain Institute of Management and Research - Mumbai, india. ::-Indian Institute of Foreign Trade - Delhi, India. ::-Narsee Monjee Institute of Management Studies - Mumbai, India. ::-International Management Institute - New Delhi, India. ::-Fore School of Management - New Delhi, India. ::-Institute of Management Technology - Ghaziabad, India. ::-Jamnalal Bajaj Institute of Management Studies - Mumbai, India. ::-Xavier Institute of Management - Bhubaneshwar, India. ::-T.A. Pai Management Institute - Manipal, India. ::-Xavier Institute of Management & Entrepreneurship - Bangalore, India. ::-Faculty of Management Studies - Delhi, India. ::-Loyola Institute of Business Administration - Chennai, India. ::-Vinod Gupta School of Management - IIT Kharagpur, India. ::-Symbiosis Centre for Management and HRD - Pune, India. You should qualified in graduation in any discipline from recognized university . You should score 50% percentage of marks in graduation and relaxation is given for 45% percentage of marks from recognized university . So, You have to prepare for the Entrance Examination like, ( MAT , CAT , GMAT , XAT ) . 2.SC/ST has the relaxation of 5% marks. 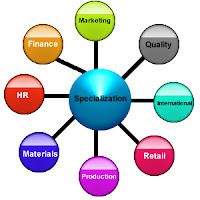 Dear aspirant Master in Business could be a master degree course.The length of this course is 2 years.The basic eligibility criteria for this course is to own a bachelor degree course in any stream from a recognized university. The aspirant needs to score minimum five hundredth marks in their graduation degree combination to be eligible for the Master in Business course. There is not any restriction for opting the bachelor degree course.One is completely free here to prefer any of the bachelor course out there to them.One will select any course per their method of convenience similarly as interest. There is relaxation for the reserved class students.They get the comfort in score.They get wise by five-hitter.i.e. If the showing student is happiness from the Sc/St/Pd class then they'll score minimum forty fifth marks in their graduation degree combination to be eligible for the Master in Business course. So pricey aspirant if you're having a bachelor degree in any stream and additionally if you've got scored minimum five hundredth marks therein combination then positively you're eligible for the Master in Business course. you ought to qualified in graduation in any discipline from recognized university . you ought to score five hundredth proportion of marks in graduation and relaxation is given for forty fifth proportion of marks from recognized university . So, you've got to organize for the doorway Examination like, ( MAT , CAT , GMAT , XAT ) . CAT stands for Common Admission take a look at and this Examination is Conducted by Indian Institute of Management . To appear during this CAT Examination than you ought to Complete Bachelor degree in any discipline from recognized University and Final year candidate might also eligible to look during this Examination . The candidate ought to score Minimum five hundredth proportion of marks and relaxation can applicable for SC/ST class candidates for five proportion of marks . If your very Interested to use for Master in Business Course then you Apply for MAT Examination . The MAT Examination score card might settle for several Master in Business schools in Bharat .So that you'll be able to get an opportunity to urge admission in Master in Business courses. MAT indicate and this Examination is conducted by All Bharat Management Association . This Examination command each fourfold in an exceedingly year . To use for this entrance exam you ought to Qualified in Bachelor degree. Final Year candidate might also eligible to use for this Examination . So, I recommend you prepare MAT Examination well and score sensible proportion of marks in MAT Examination then positively you will get admission for Master in Business Course in supposed schools . MBA (Master of business administration) is the post graduation degree in management field having the duration of 2 years. Firstly for pursuing it in india there is no prescribed standard for it, it's mainly depends on university. However generally university requires you need to have the bachelor degree in any stream with having 50% marks from an recognised university. If you are from the reserved category, then only 45% marks is required to be eligibile. You must also need to qualify MBA entrance examination. The criteria for MBA in India in terms of percentage vary from institute to institute. For Foreign nationals it depends on the norms and conditions laid down by the institute/university. The major requirements from the students is need of a valid passport and a student visa. They must also fulfill the qualification criteria as laid by the institute in which admission is sought. 1. For general category student minimum 50% marks required in bachelor degree. 2. For SC/ST/PD category student minimum 45% marks is required. 1) Graduation in any discipline from any recognized university . 2) 50% of marks for general category candidates. 3) 45% marks are reserved fro SC/ ST Candidates. 4) For getting admission for MBA , you need to prepare for any Entrance examination . 5) MBA Entrance exam which includes are ; CAT , MAT , XAT ,CET , SNAP , GMAT , etc.. But for the students of reserved category the eligibility is only 45 %. This course is of two years and known as one of the best course in all over the world. It is a post graduate course. >>Should have a graduation degree in any stream. >>Should have a minimum 55% marks. >>There is no age limitation. >>You also get a CAT/GMAT rank card. in case of SC /BC percentage required is 45%. One must be graduate in any stream. The duration of this course is two years.The basic eligibility criteria for this course is to have a bachelor degree course in any stream from a recognized university. There is not any restriction for opting the bachelor degree course.One is totally free here to opt any of the bachelor course available to them.One can go for any course according to their way of convenience as well as interest.There is relaxation for the reserved category students.They get the relaxation in percentile.They get it by 5%.i.e. If the appearing student is belonging from the Sc/St/Pd category then they can score minimum 45% marks in their graduation degree aggregate to be eligible for the MBA course.CAT stands for Common Admission take a look at and this Examination is Conducted by Indian Institute of Management .To appear during this CAT Examination than you ought to Complete Bachelor degree in any discipline from recognized University and Final year candidate might also eligible to look during this Examination .The candidate ought to score Minimum five hundredth proportion of marks and relaxation can applicable for SC/ST class candidates for five proportion of marks . If your very Interested to use for Master in Business Course then you Apply for MAT Examination . The MAT Examination score card might settle for several Master in Business schools in Bharat .So that you'll be able to get an opportunity to urge admission in Master in Business courses. MAT indicate and this Examination is conducted by All Bharat Management Association . This Examination command each fourfold in an exceedingly year . To use for this entrance exam you ought to Qualified in Bachelor degree. Final Year candidate might also eligible to use for this Examination . Second think MBA means Master of business administrator .. He is more increase of your carer and he is more Likely of it.. I hope this information are helpful..
You can appear for any number of time for entrance exam. work ex of 2+ would help more. For MBA course , a student has to pass their graduate degree from any recognized university . Candidate should score at least 50% of marks in their graduate degree . For SC/ST candidates only 45% is enough to become eligible for MBA course. Candidate should write entrance exams like CAT, GMAT ,XAT , CET etc. Admission for MBA course is based on the entrance exam. There is no age limit , candidate can attempt no. of times for entrance exam. 2.For SC/ST candidates relaxation only 45%. 3.5% relaxation for SC/ST catagories. You'll want to competent around university in every willpower out of acknowledged university or college.You'll want to score 50% percentage of represents around university plus pleasure is given intended for 45% percentage of represents out of acknowledged university or college.Therefore, You must create for any Access Assessment just like, ( MAT , CAT , GMAT , XAT ). CAT means Popular Entrance Test and this kind of Assessment is actually Done simply by Indian Institution involving Supervision. So that you can can be purchased in this kind of CAT Assessment than you should Total Bachelors level in every willpower out of acknowledged University plus Very last calendar year candidate may also permitted to can be purchased in this kind of Assessment. The actual candidate need to score Minimum amount 50% Area of represents plus pleasure may appropriate intended for SC/ST Class prospects intended for 5% Area of represents. But if your seriously Curious for you to Apply for MBA Course then you definitely Apply for MAT Assessment.The actual MAT Assessment score greeting card could take Many MBA Colleges around Asia .So that exist a chance to receive programs in MBA courses. MAT stand for [Management Talent Test] this also Assessment is conducted simply by All Asia Supervision Connection.This kind of Assessment used every four times every year.To get this kind of Access Assessment you should Certified around Bachelors degree. Very last Yr candidate may also suitable to obtain this kind of Assessment. Therefore, It is advisable to create MAT Assessment nicely plus score superior percentage of represents around MAT Assessment then unquestionably you can find programs for MBA Course around reputable Institutions. The actual length of this training manual is 2 years.The basic eligibility standards intended for this training manual is actually to experience a bachelors level system in every mode at a acknowledged university. The actual aspirant has got to attain lowest 50% represents inside their university level aggregate being eligible for the MBA course. There isnrrrt virtually any stops intended for choosing your bachelors level course.One is actually cost-free in this article for you to decide the bachelors system open to them.One may opt to use virtually any system in accordance thus to their technique for ease in addition to interest. SC/ST has the relaxation of 5% marks.